The Government Primary School of Havelu and Tofoa yesterday celebrated the Tongan Cultural Week. Students and teachers were in orange to mark the event. The school was decorated in orange to show their support to Tailulu College’s Celebration which is located few meters away from their schools. 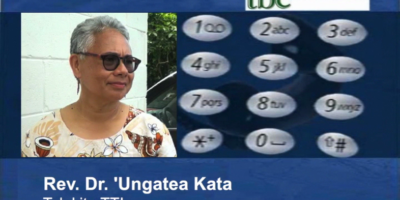 One of the teachers who organised the program Sakalia ‘Ata’ata says, it is vital to teach the Tonga Society and Culture to the students because of culture erosion. 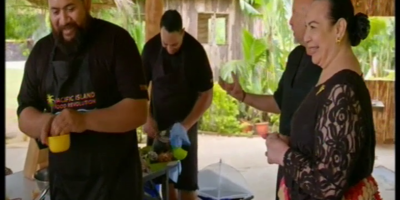 He also says, only few students have witnessed the traditional ways of the Tongan Wedding and funerals and some they’ve only heard stories of how it has been done. Sakalia says, they are hoping this program will paint a picture of how these traditional occasions are done. School students were in their traditional outfits made from leaves and tapa. Similar program will be carried out next week to mark the Health subject.